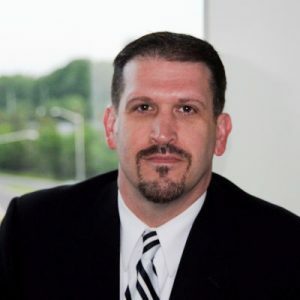 Boston Mayor Marty Walsh announced Tuesday that David Elges, currently the chief information officer of Washington, D.C.’s Child and Family Services Agency, as the new citywide CIO. Elges’ appointment comes about 10 months after the departure of Boston’s last full-time CIO, Jascha Franklin-Hodge, who is now a visiting fellow at the Harvard Kennedy School of Government. “David Elges has the knowledge and expertise to take the great work being done in [the city Department of Innovation and Technology] to the next level to keep Boston on the cutting edge,” Walsh said in a press release. Elges could not be reached for comment. Since 2016, Elges has served as the CIO of D.C.’s child services agency, where he’s overseen several modernization efforts, including one to migrate cases from a 20-year-old management system to a federally recommended Comprehensive Child Welfare Information System. The city’s budget for the 2019 fiscal year includes $2 million to adopt the new system, which is designed to coordinate individual case data with employees assignments and appointment scheduling. It is also designed to help the city’s social workers communicate more readily with their clients, who are increasingly reliant on mobile technology. Before working for the D.C. government, Elges was the director of information technology operations and chief data officer at the for-profit college company Strayer Education, Inc., overseeing an 80-person IT staff with a $20 million budget. In Boston, Elges will be responsible for overseeing enterprise IT for a municipal workforce of about 18,000 employees. In addition to a core IT staff, the city’s Department of Innovation and Technology includes an analytics team responsible for managing Boston’s open-data portals and a design and engineering group that maintains the city’s web presence. The agency also publishes a suite of mobile apps for resident services including 311, parking spaces, road conditions and trash pickup, and manages a free outdoor public Wi-Fi network. Since Franklin-Hodge’s resignation in January, Boston’s IT agency has been led by its chief of staff, Patricia Boyle-McKenna.